Pickup metal debris while using equipment you already own. 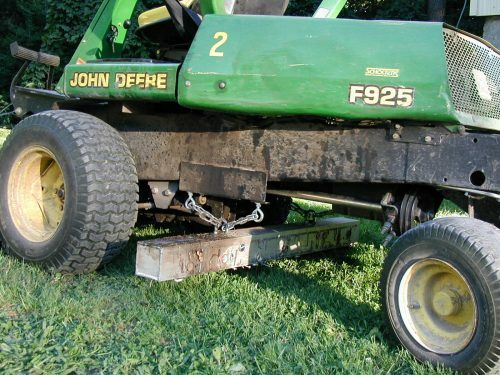 The Wrasse magnet bar extends the working power of your current equipment. Available in a full range of sizes! 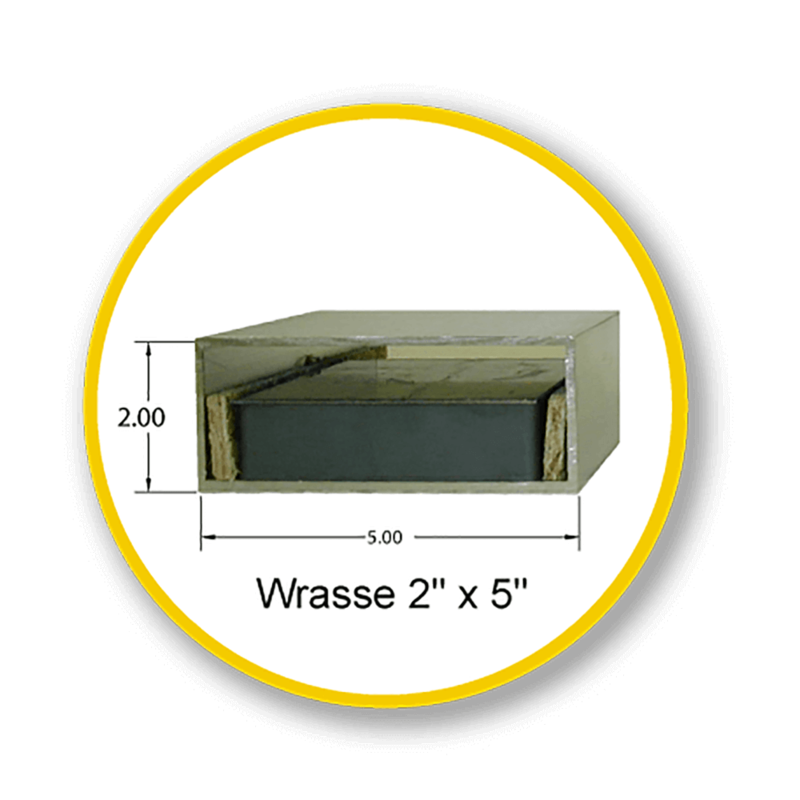 The Wrasse Series is an extremely versatile magnetic bar and good for many applications where the terrain is flat. 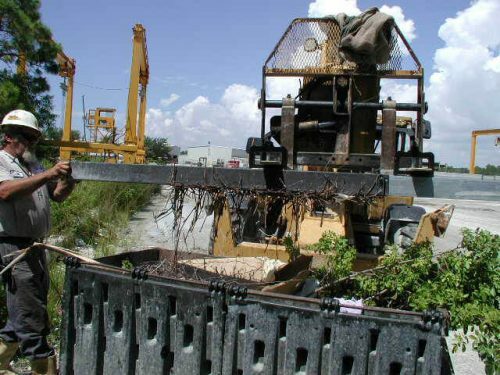 The Wrasse can be hung from almost any piece of equipment from utility vehicles to forklifts allowing the equipment operators to clean environments and pick up metal debris while they do their normal tasks. 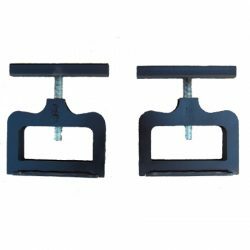 While competing hanging magnet bars usually offer the 2″×5″ size, Bluestreak also offers two bigger, more powerful sizes of the Wrasse, the 3″×3″ and the 4.5″×4.5″ to allow even higher hanging heights if necessary and better performance. And thanks to the optional Quick Clean Off Sleeve accessory for the Wrasse 4.5″×4.5″ model, it’s possible to clean the Wrasse off quickly and easily while the magnet is still in its hanging position underneath a piece of equipment. Why does the Wrasse have a little fish as its logo? The Bluestreak Cleaner Wrasse (Labroides dimidiatus) is one of several species of cleaner Wrasse found on coral reefs in much of the Pacific Ocean and Indian Ocean. Easily Attach to Your Equipment! 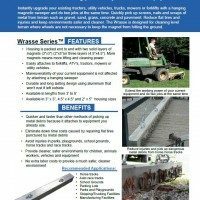 The Wrasse is designed to easily attach to equipment and vehicles you already own and use so that you can remove ferrous objects from terrain such as gravel, sand, grass and pavement while you do other jobs. The magnet comes standard with 2 attachment chains. 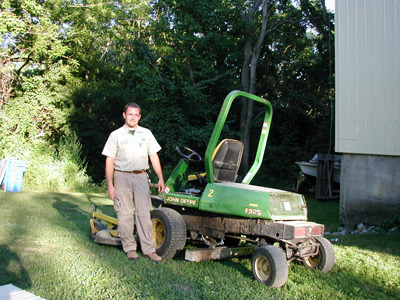 "We are very pleased with the Magnetic Sweeper, it cleaned campsites and fire pits to the point that we noticed a big decline in flat tires on vehicles and mowers. Many campers bring fire wood with nails still in tacked. We had everything stuck to the magnet, beer caps, hinges, spikes, tent pegs." We stock all of our products. 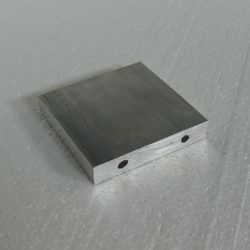 We ship our magnetic products worldwide from Asia to the Yukon from Europe to the United Arab Emirates. Pay by Visa and MasterCard or EFT/Wire Transfer. A Hanging Magnet for Flat Terrain. 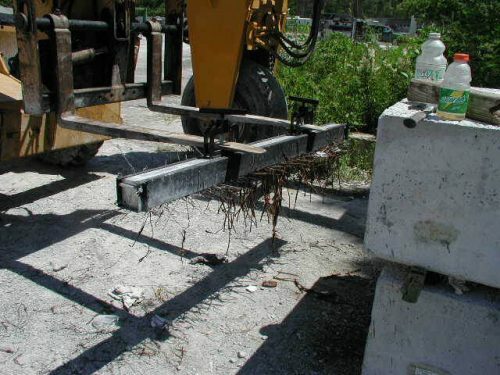 The Wrasse magnet is good for areas that are relatively flat such as a paved parking lot or if it’s gravel and dirt with only some small normal potholes you would normally find in a gravel driveway. 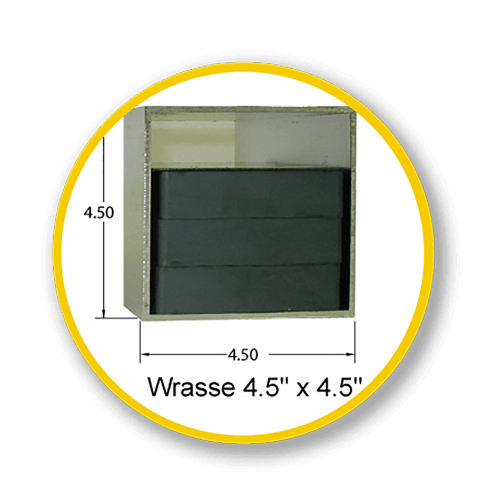 The Wrasse hanging magnet is versatile and provides great value. 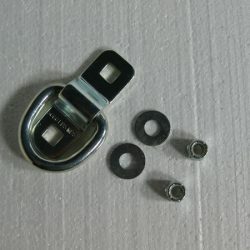 You basically only pay for a big bar magnet, not wheels, handles and frames and as a result they are great value for what you get, which is essentially just a big magnet, so you can afford to buy a really strong one. Once you hang the Wrasse on a vehicle it will work continuously while you go about doing your other work. 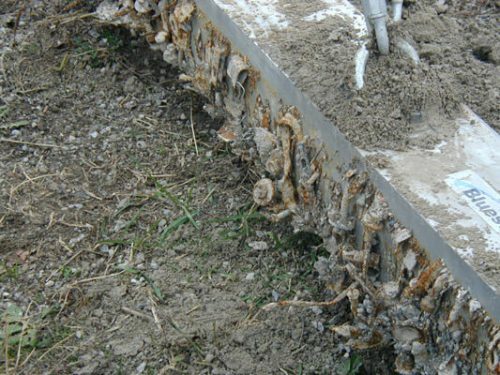 So you don’t pay for extra labor time and money to just sweep up metal debris. 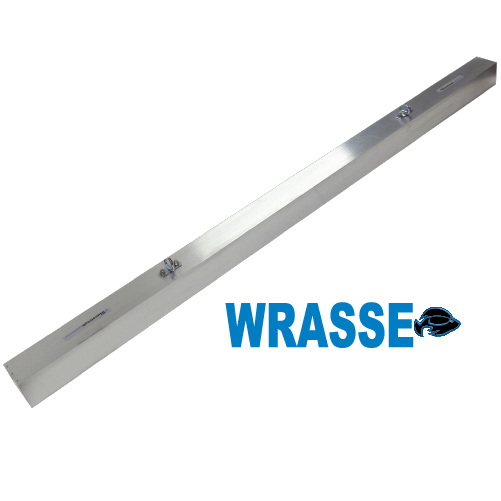 Because the Wrasse comes in a wide range of sizes that vary in both height, width and length, this magnetic bar can be hung from almost anything. You just look at your equipment for the best place to hang it. 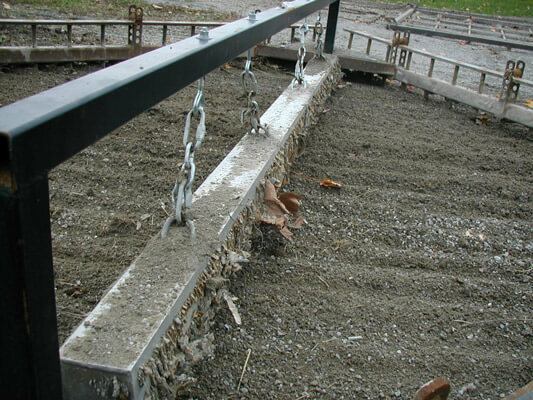 In most cases a place can be found to simply attach the magnet bar using the chains provided. Some accessories are available for the Wrasse including a Quick Clean Off Sleeve for the Wrasse 4.5″x4.5″ and Fork Pockets that fit all sizes and widths. ...made a very unpleasant job a joy to do. "Today we put your Wrasse magnet to work and we are most pleased with its performance. My operator is very happy with the ease and simplicity of the design. Putting it on the forks takes only a minute with no tools required." 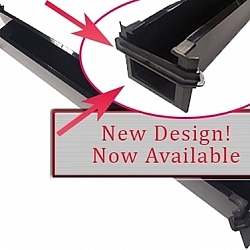 While competing hanging magnets are always in the 2″×5″ size range, Bluestreak always saw many of these magnets not performing well, not only because the magnets were spaced out in the housing, but just out of a necessity to hang these magnets higher to avoid damage. Bluestreak was already not spacing magnet blocks out within our housings, giving our 2″×5″ Wrasse more pickup power than competing 2″×5″ models. 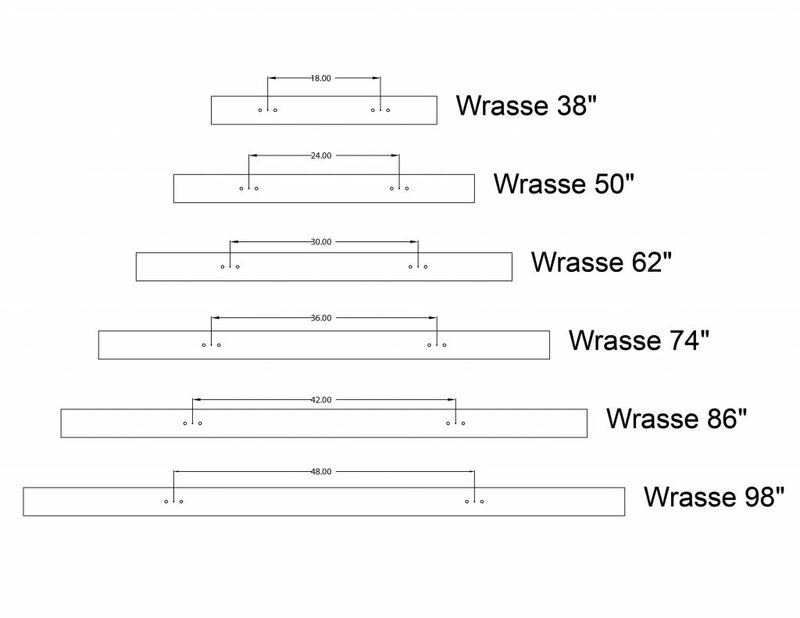 But Bluestreak also decided to offer two bigger more powerful sizes of the Wrasse, the 3″×3″ and the 4.5″×4.5″ to allow even higher hanging heights if necessary and better performance. The Wrasse comes in lengths from 2 feet to 8 feet. Optional Fork Pockets accessory make it easy to attach a Wrasse magnet bar to your forklift. Optional extruded PVC Quick Clean Off Sleeve for removing debris from the sweeper. 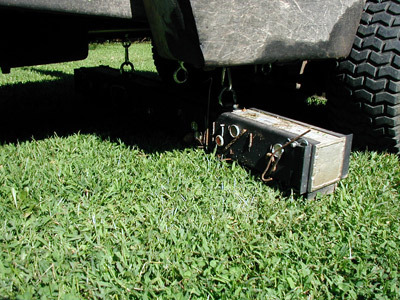 Clean off the Wrasse while it is still in a hanging position underneath of your equipment, something that is not possible with a kick down plate design. 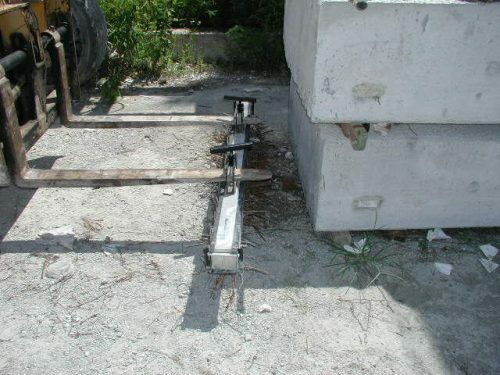 If the debris is removed by using a kick down or toe plate then as soon as the plate is put back in its original position, the magnet would pick up all the debris again. 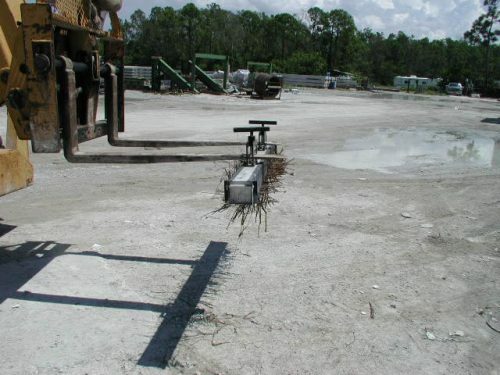 Therefore a kick down plate never works for magnet clean off when the magnet is hanging, it only works if used with a forklift, where the forklift can pick the magnet up away from the ground. This Quick Clean Off Sleeve accessory is available for the Wrasse 4.5″ x 4.5″ size only. Every Wrasse magnetic bar is packed end to end un-spaced with permanently charged magnets. 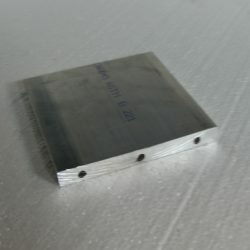 A metal backing plate is included inside the housing to increase the size of the magnetic field and direct it downwards to increase performance. 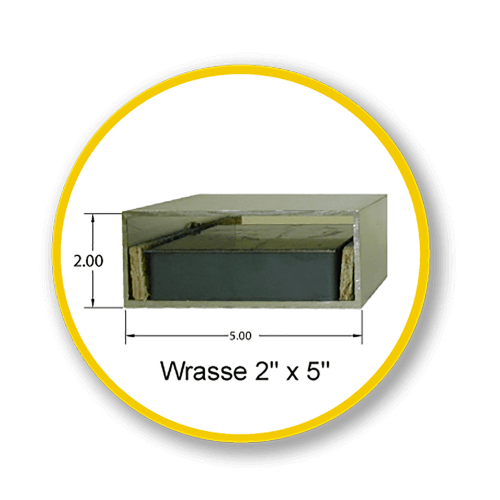 Be very careful to not just look at the magnet housing size when shopping for a magnetic bar, like the 2″×5″, or 3″×3″ or 4.5″×4.5″, these are just the dimensions of the housing that hold the magnets. 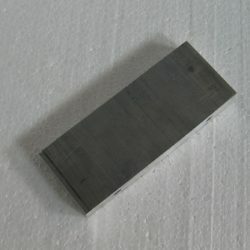 What really matters when comparing magnetic sweepers, is the magnets in the housing, their grade and their quantity and if they are spaced or not. Note: On all models the remaining housing space above the magnet is used to accommodate a steel backing plate and mounting hardware. Packed end to end with permanently charged magnets (unspaced). 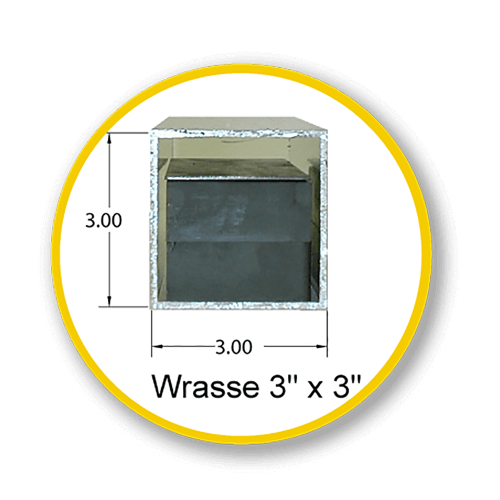 Durable and long lasting aluminum construction that won't rust if left outside. Available in 7 sizes lengths from 2 to 8 feet. Comes standard with Hanging Kit to attach magnet bar to your equipment. Optional Quick Clean Off Sleeve for the Wrasse (4.5" x 4.5"). 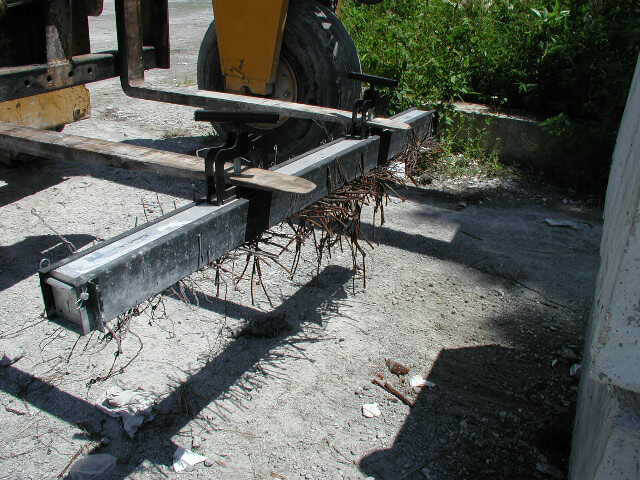 Optional Fork Pockets to attach Wrasse to forklifts. No extra labour costs to provide a much safer, cleaner environment. Quicker and faster than other methods of picking up metal debris. Click Here to View Specs for the Wrasse 2" x 5"
Cleaning Method Wipe clean with glove or rag. Wipe clean with glove or rag. Wipe clean with glove or rag. Wipe clean with glove or rag. Wipe clean with glove or rag. Wipe clean with glove or rag. Wipe clean with glove or rag. Accessories Wrasse Fork Pockets Comes standard with a 2 Chain Hanging Kit. Wrasse Fork Pockets Comes standard with a 2 Chain Hanging Kit. Wrasse Fork Pockets Comes standard with a 2 Chain Hanging Kit. Wrasse Fork Pockets Comes standard with a Hanging Kit. Wrasse Fork Pockets Comes standard with a 2 Chain Hanging Kit. Wrasse Fork Pockets Comes standard with a Wrasse Fork Pockets Comes standard with a 2 Chain Hanging Kit. Click Here to View Specs for the Wrasse 3" x 3"
Accessories Wrasse Fork Pockets Comes standard with a 2 Chain Hanging Kit. Wrasse Fork Pockets Comes standard with a 2 Chain Hanging Kit. Wrasse Fork Pockets Comes standard with a 2 Chain Hanging Kit. 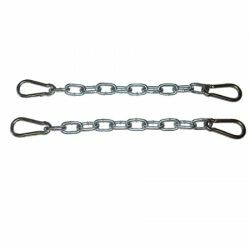 Wrasse Fork Pockets Comes standard with a 2 Chain Hanging Kit.. Wrasse Fork Pockets Comes standard with a 2 Chain Hanging Kit. 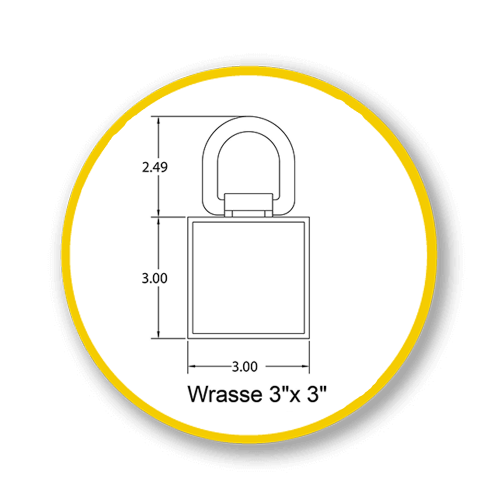 Wrasse Fork Pockets Comes standard with a 2 Chain Hanging Kit. 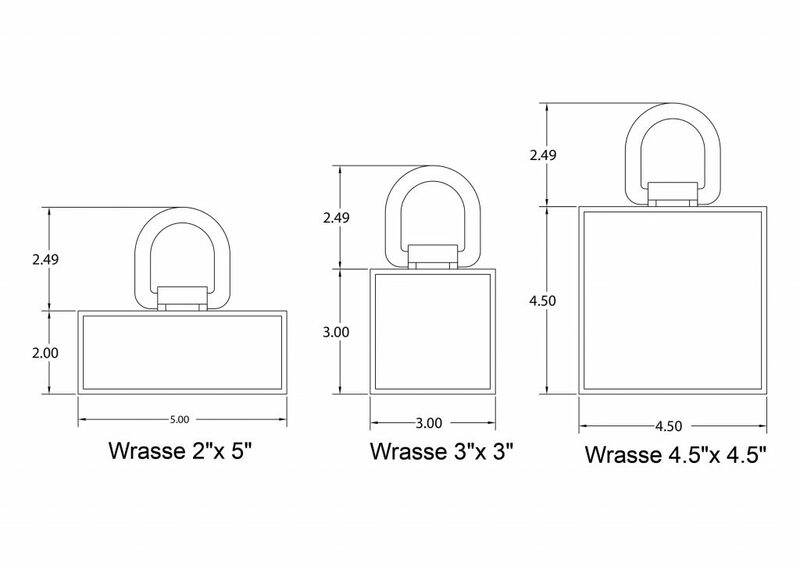 Wrasse Fork Pockets Comes standard with a 2 Chain Hanging Kit. 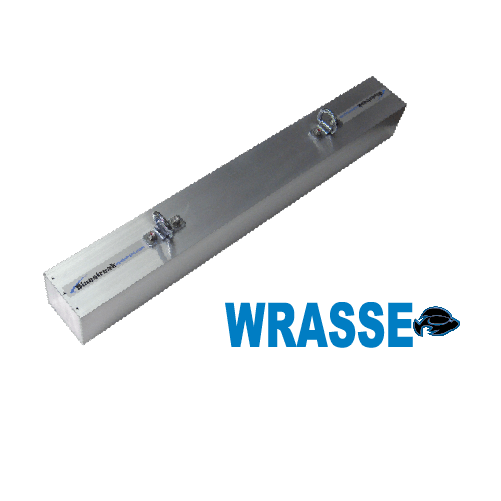 Click Here to View Specs for the Wrasse 4.5" x 4.5"
Cleaning Method Wipe clean with glove or rag. Also available with a Quick Clean Off Sleeve Sleeve accessory. Wipe clean with glove or rag. Also available with a Quick Clean Off Sleeve accessory. Wipe clean with glove or rag. Also available with a Quick Clean Off Sleeve accessory. Wipe clean with glove or rag. Also available with a Quick Clean Off Sleeve accessory. Wipe clean with glove or rag. Also available with a Quick Clean Off Sleeve accessory. Wipe clean with glove or rag. Also available with a Quick Clean Off Sleeve accessory. Wipe clean with glove or rag. Also available with a Quick Clean Off Sleeve accessory. Accessories Wrasse Fork Pockets Quick Clean Off Sleeve Comes standard with a 2 Chain Hanging Kit. Wrasse Fork Pockets Quick Clean Off Sleeve Comes standard with a 2 Chain Hanging Kit. Wrasse Fork Pockets Quick Clean Off Sleeve Comes standard with a 2 Chain Hanging Kit. Wrasse Fork Pockets Quick Clean Off Sleeve Comes standard with a 2 Chain Hanging Kit. Wrasse Fork Pockets Quick Clean Off Sleeve Comes standard with a 2 Chain Hanging Kit. Wrasse Fork Pockets Quick Clean Off Sleeve Comes standard with a 2 Chain Hanging Kit. Wrasse Fork Pockets Quick Clean Off Sleeve Comes standard with a 2 Chain Hanging Kit. Note: On all models the remaining housing space above the magnet is used to accommodate a steel hanging plate and mounting hardware. * If you want to order more than one you may add or adjust product quantities once you have added the product to your shopping cart. I just want to thank you… Your product was delivered and came in great shape. I had some spots with a lot of nails. Sweeper arrived yesterday, you guys are awesome and your product is absolutely great!!!! This is our second Wrasse50(2″x5″) sweeper. This one will be installed on our yard switcher in our Southern Distribution Center, the original one, used at our Northern Distribution Center, has performed spectacular for us for the last year. Today we put your Wrasse magnet to work and we are most pleased with it’s performance. My operator is very happy with the ease and simplicity of the design. Putting it on the forks takes only a minute with no tools required. Enclosed please find photos to show you our yard conditions. We have eight acres of hard soil in which the metal debris has been embedded. Also after a rainstorm we have standing water. Your magnet pulls the metal out of the soil as well as metal below several inches of water. My operator was very pleased with how simple it was to clean the tool. Detach one pin and slide off the plastic cover and the debris falls off. Your Magnet has made a very unpleasant job a joy to do. 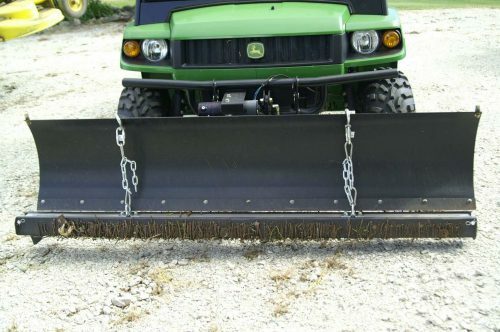 We are very pleased with the Magnetic Sweeper, it cleaned campsites and fire pits to the point that we noticed a big decline in flat tires on vehicles and mowers. Many campers bring fire wood with nails still in tacked. We had everything stuck to the magnet, beer caps hinges, spikes, tent pegs. Thanks for all your efforts and good luck. The magnetic bar that you installed on our track drag is a valuable piece of equipment in the maintenance of our race track. 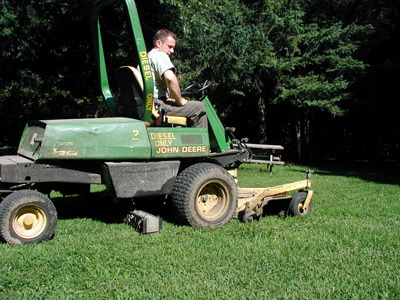 We save many man hours, and avoid the tedious task of walking around the track and picking up the small, sharp pieces of metal left there, from the many demo derbies and truck and tractor pulls that use our track throughout the year. I was truly amazed at what i found attached to the magnetic after only a few times around the track. Literally hundreds of nuts, bolts, screws, nails and wires which are extremely dangerous to a horses foot and can cause severe lameness were attracted to the magnet. 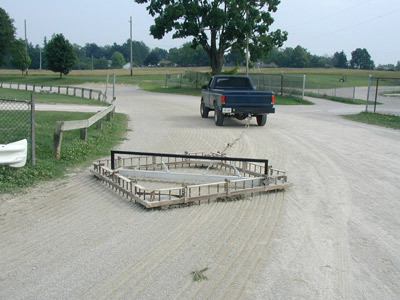 Thanks again, for making our track safer for the horses and less work and headache for the horsemen. 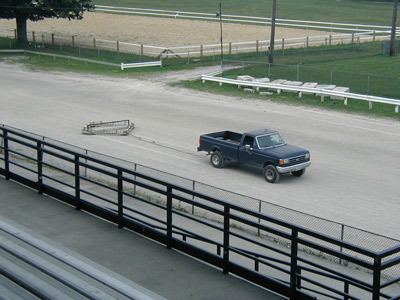 A couple years ago I had my standardbred horse out for a daily exercise, a five mile jog on the racetrack. He came off the track extremely lame. When I picked up the affected leg I discovered he had stepped on a stray horse shoe nail and it was embedded deep in the frog of the foot. The result was a weeks rest and a missed start. He did not step on a nail from a shoe he had thrown that day, it was a loose nail. If the track had been using the Bluestreak Magnetic Sweeper this injury most likely would have not occurred. I came across Bluestreak by accident, and told my story to the owner and asked him if their equipment could have prevented my horse’s injury. He was kind enough to come and give me a demonstration and the result was amazing. I am convinced the injury would not have happened had the track used the Bluestreak and that every track could benefit from using one. I have not been compensated for my statement I just strongly believe in the product now that I have seen it in action.